Titled “From Mountaintop to River Bottom: Teaming up for Healthy Watersheds,” the forum’s speakers focused on collaboration among agencies and citizens—and the need to look upstream when thinking about watershed restoration. Speakers hit on issues including the effect of forest thinning projects on downstream waters, restoration in the Valles Caldera National Preserve and restoration projects in the Middle Rio Grande. Last week, as river rats and policy wonks alike headed toward the Albuquerque Hilton to listen to New Mexico’s self-proclaimed sole registered anarchist, their names were checked off a list and their cars searched. It turned out the security was due to President Obama’s overnight stay at the hotel, but it made for an interesting start to the New Mexico Watershed Forum. An itinerant interviewer and archivist, Loeffler has interviewed hundreds of activists, academics, musicians and others—and he played a handful of those recordings for the audience. Two people whose words stood out included Rena Swentzell, from Santa Clara Pueblo, and Montana’s Daniel Kemmis. Swentzell, who grew up alongside the waters of the Rio Grande, spoke of how that informed her own consciousness about water. “We have too small a definition of community,” she said, pointing out that by talking only about human community. “We keep making the world smaller and smaller until it’s just us.” Instead, humans need to see beyond their own community and align themselves within the context water, animals, plants and even stones, she said. Although rewriting the West’s geopolitical map is probably not going to happen anytime soon, speakers at the forum did have concrete ideas on how to improve the state’s watersheds—and precious water resources. Speaking about streamflow protection—that is, when water managers are required to leave water within the banks of the river for the system’s own good—Steve Harris of Rio Grande Restoration spoke of a legislative starting point for the issue. In 2009, the state Legislature passed a joint memorial urging the state to consider adequate environmental flows when managing river systems. The bill directed state departments in the water cabinet to prepare environmental flow assessments that would evaluate and prioritize areas in need of flow management, and also identify segments of streams where flow management might result in significant ecological benefits. Although state funding has lagged, Harris said the New Mexico Environment Department agreed to provide initial funding—and by 2011, a report should be completed. But there remains a great deal of work to be done, particularly in the Middle Rio Grande where flows are currently at a six-year low. For his part, Michael Jensen of the nonprofit Amigos Bravos, spoke of a project to measure the levels of pharmaceuticals present within the waters of the South Valley’s acequias. Currently ending its second year, the project was funded by the U.S. Fish and Wildlife Service’s Middle Rio Grande Bosque Initiative and relies on help from students at Rio Grande High School and the School on Wheels. Because testing for pharmaceuticals is expensive—about $800 per test— they sampled for pharmaceuticals at only three sites. These included the Angosturo Diversion Dam north of Albuquerque, where the river crosses beneath Interstate-25, and near the National Hispanic Cultural Center. “We found pharmaceuticals at all three sites, during all five sampling events,” said Jensen, who pointed out that these ranged from DEET and the active ingredient in sunscreen to anti-seizure medication, Tylenol and caffeine. The levels they noted, he said, were comparable to those found during a US Geological Survey study ten years ago. Unfortunately, funding for the project has dried up, though Jensen is hopeful Amigos Bravos can move it forward somehow. The Colorado Watershed Assembly’s executive director, Jeff Crane, spoke of the need for more citizens watershed groups. “Pull together people in your community, come up with a plan, and figure out what you really need and get it done,” he said. That’s a mission all the more important as cash-strapped agencies have less money to devote to restoration projects. Citizen-based grassroots watershed groups can accomplish a lot, he said. But they also need to work together across state boundaries. “There is a need for collaboration, and the need for a coalition of Rocky Mountain states—a Headwater States Partnership—similar to Great Lakes and Chesapeake Bay initiatives,” he said. In March, 2009, President Obama signed the omnibus bill, which includes the Cooperative Watershed Management Act and would provide grants to watershed groups. Unfortunately, said Crane, Congress has yet to appropriate any funds for the act. 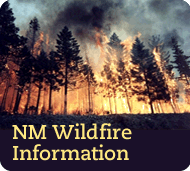 The forum was sponsored by the New Mexico Environment Department, the US Environmental Protection Agency, the New Mexico Energy, Minerals and Natural Resources Department’s Forestry Division and the New Mexico Forest and Watershed Restoration Institute.